The first mile included a bridge crossing, a bit of climbing to start the day. Then I came across a pretty bad car wreck which brought the two-lane road to a standstill. 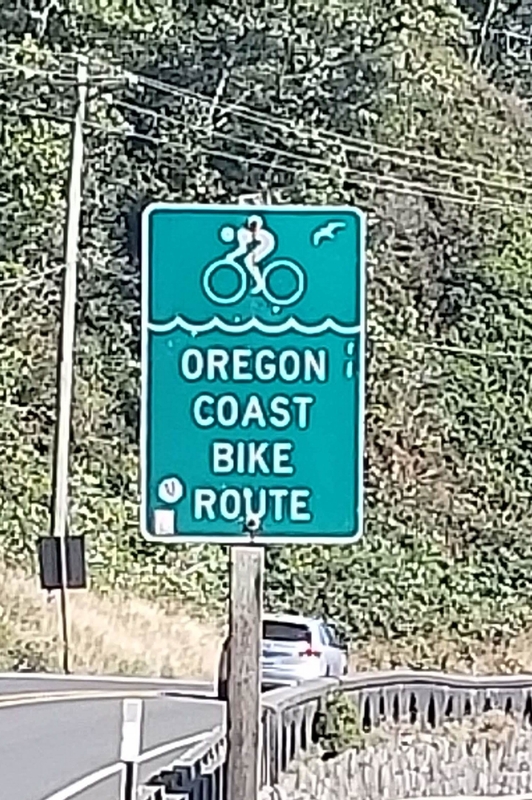 The bike helped me get by. I’d left the hotel around 10 and needed to be in Tillamook (65 miles away). Hotel breakfast was lackluster, so I stopped for a sandwich 15 miles in. Met a local who rode and he told me about the upcoming climbs. I kinda knew about the climbs, but he confirmed it. Once outside of Seaside, the road tilted upward. And upward. 40 minutes I believe. WIth a tunnel passage to boot. The reward was my first encounter with Cannon Beach, where Goonies (along with Astoria) and Twilight were filmed. The views descending down into Cannon Beach were nothing short of amazing. I stopped for some pictures, but the 200-foot bluffs, 7 miles of beach and the occasional glimpse of wildlife (sea lions, hawks (I presume), whales (never saw one but did see the signs) kept me focused. Manzanita, Rockaway Beach and Garibaldi were all cool coast towns I rode through. One thing I did notice, no parking meters! Get their early or pay for private parking (if you can find it). But no meters! The climbs, with a backpack, mean stopping every hour to stretch. I felt pretty good most of the day. 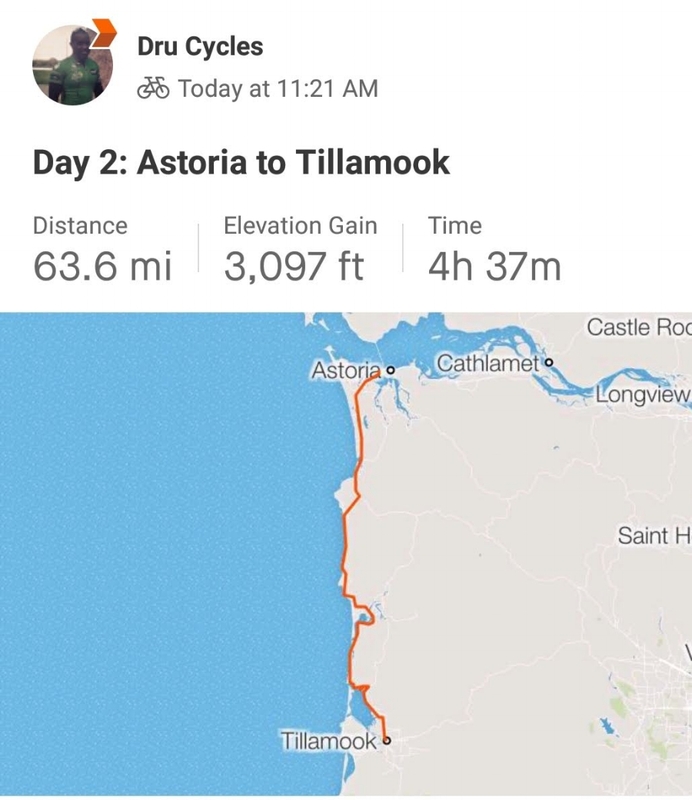 I made it to Tillamook with enough time to ride around, find a burrito and change into non-cycling clothes prior to boarding the bus. An hour later, I was in Lincoln City.